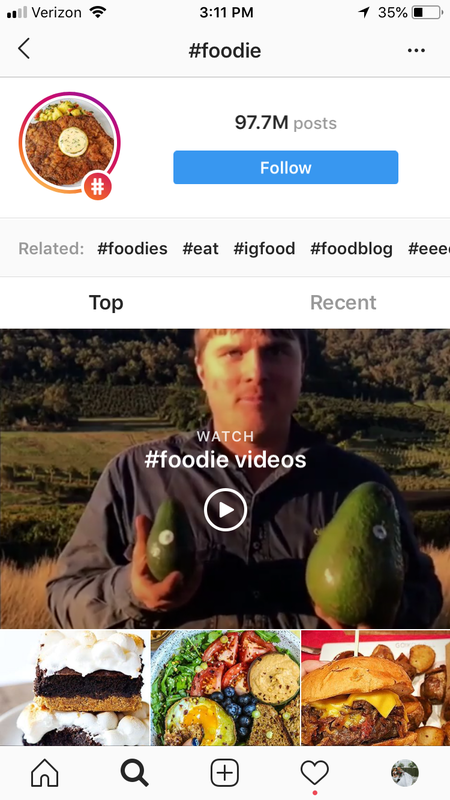 It is certainly no secret that since 2016 Instagram has been implementing a variety of algorithms that affect searchability. Most recently, the Shadowban has occurred, leaving many accounts unsearchable and lacking engagement and/or growth. So what is this Instagram Shadowban, you may be asking? So now that you know what the Shadowban means, you might be looking for the reason(s) behind why it is happening. Though Instagram has not given a specific reason for this problem, what the community has concluded is that the more spammy your posts seem, the more likely you are to be shadowbanned. There are over 114,000 banned hashtags, but a hashtag’s status is always changing. Some might be temporarily banned, and others might be permanently blocked. Always search for a hashtag before using it. If you search for a hashtag and no results pop up, or just a few results appear, it has been banned. So how do you find out for certain if your account has been Shadowbanned? We recommend finding a few people who do not currently follow your account and having them look for your photos under various hashtags that you have been utilizing. Remember to stick with the hashtags that don’t have millions of people posting about them otherwise they are unlikely to see your photos anyway. 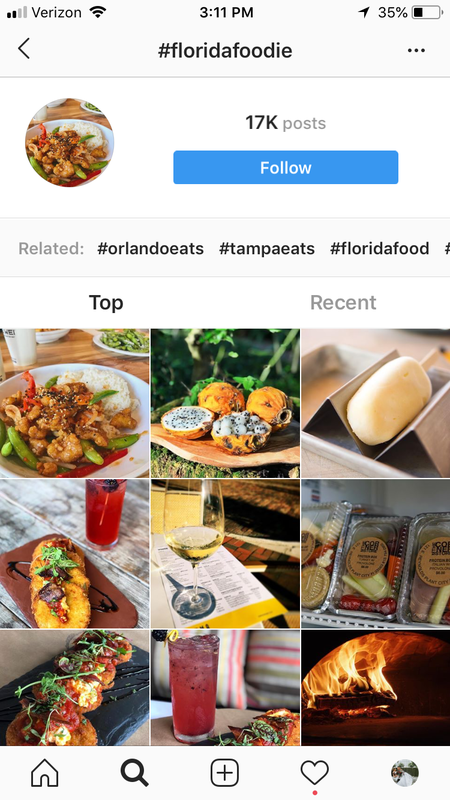 For instance, rather than have them search #foodie, have them search #floridafoodie. If no one is able to view your photos, your account has likely been shadowbanned. If a couple of people are able to see them, it could just mean that you are involved in a hashtag glitch or you are experiencing a dip in your engagement, which you can learn about more here. 1. Stop using bots and automation to handle your account. 2. Delete abused hashtags from old posts and refrain from using them in the future. 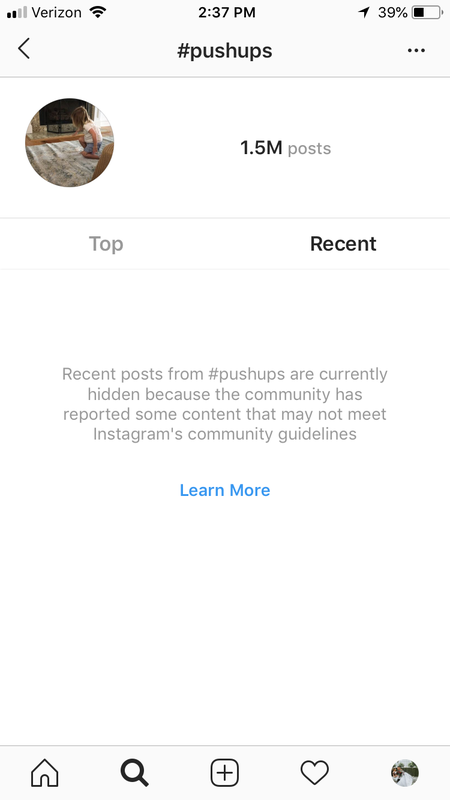 For instance, if you work in the fitness field and use a hashtag like #pushups you’ll need to delete that hashtag from your posts. As of August 16, 2018, photos with that hashtag are currently hidden. If you’d like to see more hashtags that are currently on the banned list, check out this blog from Preview. 3. Take a couple of days off from your account. Yes, it might seem counterintuitive to stop all engagement when you’re trying to grow your audience, but by taking a few days off, you will allow your account to be reset and then you can manually engage your followers when you return. 4. Another innocent mistake you may be making is if you are using the same hashtags over and over again. In order to reach a wider audience, while increasing your chances of being discovered, you’ll want to use a variety of relevant hashtags throughout your posts; not just the same 5-30 repeatedly. If you’d like more information on how to help your account, contact us today! It might seem overwhelming, but we can help you to create a social media campaign that wows potential clients and gets your brand out there for optimal organic growth. Being authentic and genuine is so important, especially in an Internet-driven world. If you take the extra time, we can get you through your Instagram Shadowban.